Successful projects are the result of an effective collaboration between you and me, the interior designer. The working relationship you establish with me is crucially important – you want to enjoy the journey as well as the destination. Working with an interior designer is all about the business of trust. You place trust in me to design your perfect home environment and execute change with professional aplomb. In return I trust that you reimburse me when invoiced for the work I have completed. Rapport with my clients is everything to me. We must speak and listen fervently with each other. You may already have ideas or inspiration for your home, and as an interior designer I will listen and consider your ideas, ensuring the concept works in reality. My design eye can be used for devising eye opening ideas and possibilities that may not have occurred to you. Attention to detail makes your space look finished and harmonious. Our working relationship is a collective, resulting in a home that is worthy of your presence. Feedback is invaluable. No I’m not going to ask you to complete a feedback form! However what I do ask is if you love something, let me know, if you want it modified, let me know, or if you detest something, let me know, I will listen. Interior Design includes paint colours, wall paper and window treatments, however that is just scratching the surface of how I can add exceptional value to your home. I can go beyond cosmetic treatments to ensure that your home feels well-proportioned and comfortable, balancing design considerations with your specific needs, that will reflect how you live in your home. The floor plan, architectural style and furniture positioning through to the finishing details, I envision, plan and outfit your space in a way that makes it stylish and functional. ﻿Karyn ﻿Hopper ﻿is ﻿a ﻿well-known ﻿interior ﻿designer ﻿specialising ﻿in ﻿residential ﻿interior ﻿design. ﻿Wellington ﻿born ﻿and ﻿raised ﻿and ﻿extensively ﻿travelled ﻿Karyn ﻿has ﻿gathered ﻿design ﻿inspiration ﻿from ﻿North ﻿America, ﻿Europe ﻿and ﻿Australia. ﻿Her ﻿creative ﻿influencers ﻿include ﻿the ﻿architecture ﻿of ﻿Frank ﻿Lloyd ﻿Wright, ﻿the ﻿dramatic ﻿and ﻿colourful ﻿pottery ﻿of ﻿Clarice ﻿Cliff, ﻿and ﻿design ﻿gurus ﻿Sir ﻿Terence ﻿Conran, ﻿Andrew ﻿Martin ﻿and ﻿Kelly ﻿Hoppen. 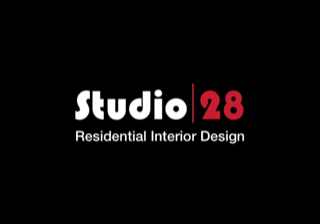 ﻿In ﻿2012 ﻿Karyn ﻿founded ﻿Studio ﻿28 ﻿and ﻿has ﻿since ﻿engaged ﻿with ﻿many ﻿home ﻿owners, ﻿helping ﻿create ﻿a ﻿comfortable ﻿living ﻿environment ﻿for ﻿their ﻿families. 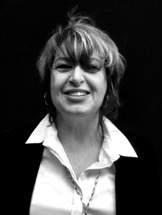 ﻿Karyn’s ﻿design ﻿philosophy ﻿is ﻿to ﻿add ﻿exceptional ﻿value ﻿and ﻿create ﻿wow ﻿factor ﻿within ﻿the ﻿constraints ﻿of ﻿a ﻿budget. ﻿Her ﻿strengths ﻿are ﻿her ﻿attention ﻿to ﻿detail ﻿and ﻿her ﻿ability ﻿to ﻿create ﻿ambience ﻿in ﻿a ﻿living ﻿environment. ﻿Old ﻿or ﻿new, ﻿classic ﻿and ﻿timeless, ﻿comfortable ﻿and ﻿easy ﻿are ﻿all ﻿part ﻿of ﻿Karyn’s ﻿creative ﻿repertoire. ﻿In ﻿2017 ﻿Studio ﻿28 ﻿became ﻿an ﻿exhibitor ﻿at ﻿the ﻿Home ﻿Ideas ﻿Centre ﻿in ﻿Petone ﻿and ﻿she ﻿now ﻿has ﻿a ﻿regular ﻿following ﻿of ﻿attendees ﻿at ﻿her ﻿informative ﻿seminars ﻿that ﻿occur ﻿throughout ﻿the ﻿year. ﻿Karyn’s ﻿exhibition ﻿design ﻿skills ﻿are ﻿now ﻿utilised ﻿by ﻿other ﻿exhibitors ﻿and ﻿have ﻿added ﻿an ﻿extension ﻿to ﻿her ﻿business. ﻿She ﻿has ﻿a ﻿Diploma ﻿in ﻿Design ﻿and ﻿Decorating ﻿and ﻿is ﻿a ﻿Member ﻿of ﻿the ﻿Designers ﻿Institute ﻿of ﻿New ﻿Zealand ﻿(DINZ).